Adware symptoms include slow PC performance, laggy internet speeds, and strange pop-up advertisements. Adware is a general term for any software that is built to deliver advertisements to a user’s PC. Adware may be sold by marketing agencies, or it could be installed by virus creators who want to generate advertising revenue. Our recommended solution is to download and install the Repair Tool. This tool has been designed to remove adware and fix Windows performance issues. The repair tool identifies adware problems on your PC while searching for other ways to improve PC performance and security. Recommended: To remove adware, use this software suite: PC Cleaner Pro. This repair tool has been proven to identify adware problems with high efficiency and instantly show users how to remove adware while improving PC performance. Adware is a serious problem that can have devastating effects on PC security and performance. The goal of adware is to trick users into clicking on advertisements or buying products. In some cases, adware might take the form of a Google redirect virus which redirects users to malicious websites through Google. In other cases, adware might simply deliver frequent pop-ups to users while they access the PC. Fortunately for PC users, PC Cleaner Pro is designed to instantly cure adware problems while fixing hundreds of other PC problems. 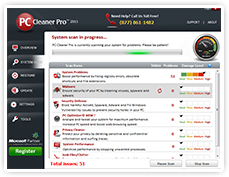 PC Cleaner Pro is built from the ground-up to be easy-to-use. Users simply click one button to identify adware and performance problems on their PC, and then they click another button to instantly fix all these errors. And instead of simply uninstalling adware, PC Cleaner Pro deletes all traces of it from the Windows Registry. A thorough Registry scan can reveal thousands of serious PC problems, and fixing all of these problems will result in a noticeable boost to PC security and performance. If you’re serious about protecting your PC, your identity, and your privacy, then PC Cleaner Pro will show you exactly how to remove adware. Minimum Requirements: Internet connection. 20 MB free hard disk space, Microsoft Internet Explorer 6.0 or above, logged on as administrator Run the free scan to identify the issues plaguing your system and register a full version of the software for just $29.97 per year to clean, fix and optimize your computer to boost speed and performance, improve startup times and increase stability. Compatible with Windows XP, Vista, Windows 7 (32 and 64 bit), Windows 8 (32 and 64 bit).